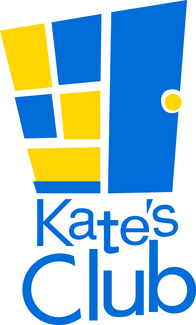 Kate’s Club is offering a very simple and easy way for individuals, families, or organizations to get involved. Our Adopt a Meal program, allows volunteers to prepare meals in the comfort of their own home and drop them off ready to be served. We have divided each night into 3 slots, allowing 3 volunteers to share the responsibility. In signing up, you are confirming that you will be responsible for providing a portion of the meal that night. These opportunities are offered at each of the following KC programs; Family Orientations, Family Nights, and Clubhouse Lunches in Atlanta as well in Gainesville. For more details, please contact Debra Brook at [email protected] or call the clubhouse at (404)347-7619. Before your scheduled day, please contact Debra to confirm there have been no changes to the number of people attending. Kate's Club is in need of any receipts for purchases to keep up with our in-kind donations through our bookkeeping process. Please turn these in every time you sign up to assist with a meal. This opportunity is perfect for small groups. We are looking for someone to help cover the entire meal at each clubhouse program. Help bring main lunch item (sandwich or pizza), whole fruit, NUT FREE cookie, juice box, chips along with a NUT free snack. Deb Pofahl will cover entire meal. Deb will cover entire meal.